Bolster your armoured look with the Richard Steel Chainmail Coif. 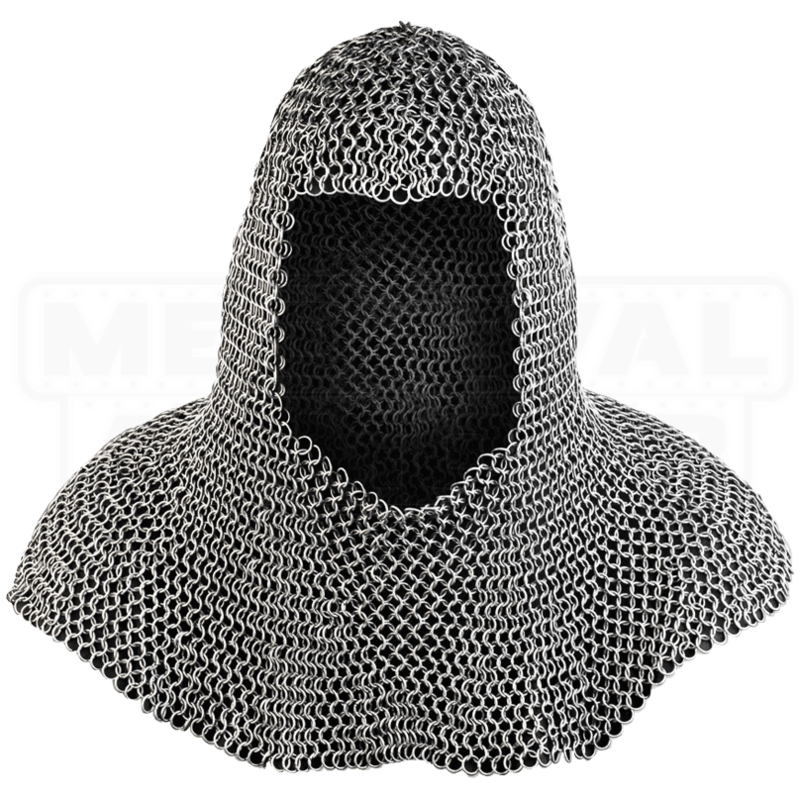 This steel chainmail hood covers the head, neck, and shoulders. Wear it on its own over an arming cap, or wear it underneath a helmet for an extra level of protection. Made up of a multitude of steel rings woven in a traditional 4-in-1 pattern, each ring is 1.6mm thick and has an inner diameter of 9mm. 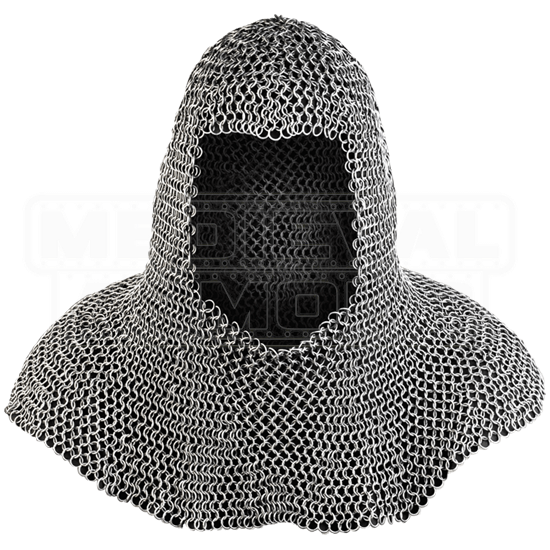 This steel chainmail hood is galvanized with zinc, giving it a shiny metallic look and protecting it from rust. Whether your reenactment or LARP character has a knightly disposition or hails from a medieval-themed fantasy realm, the Richard Steel Chainmail Coif is a fantastic way to add detail and protection to your armoured warrior costume or LARP outfit.